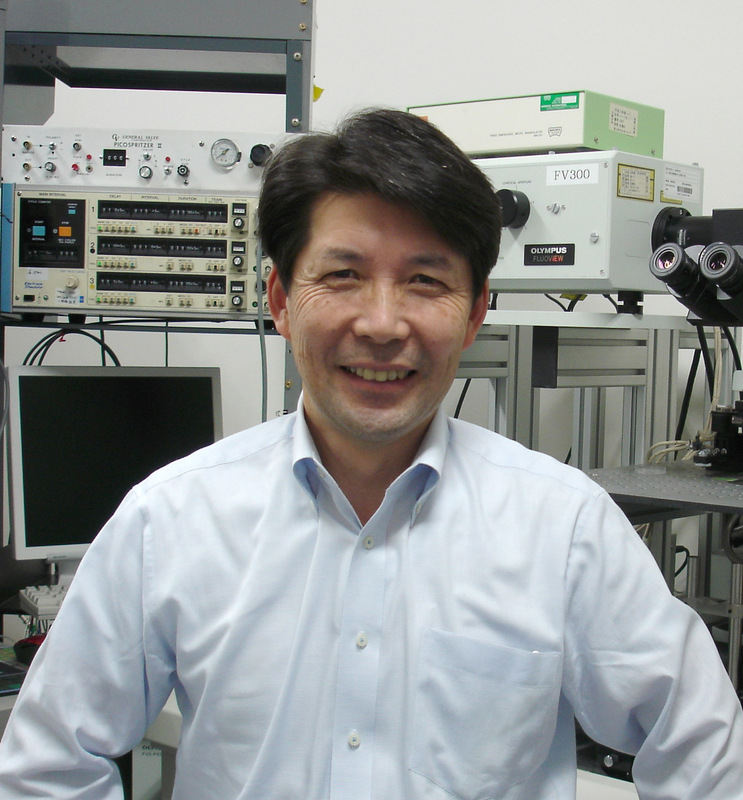 Professor Yoichi Oda and co-workers at Nagoya University have discovered the mechanism for perceiving sound and equilibrium differentially in two similar sensory organs. Their paper was published online in Scientific Reports on July 2, 2013. Fish perceive auditory and vestibular stimuli through a common mechanism. They have otolith organs, known as the saccule and utricle, and each consists of an otolith (calcium carbonate crystal) and sensory hair cells that convert deflection of hair bundles into electric signals. In the saccules and utricles electric signals are generated by relative motion between the otolith and the hair cells. It was previously reported that the saccule detects sounds and the utricle provides balance; however, the mechanism underlying the perception of these two distinct senses by two similar sensory organs has yet to be determined in fish. Prof. Oda's research group, therefore, focused on the difference in size of the saccular and utricular otoliths and investigated the potential for otolith manipulation to affect sound perception in larval zebrafish. They observed that the saccular otolith size was 2.5-fold larger than that of the utricular otolith and that the utricle with experimentally-enlarged otolith acquired the sense of sound. Therefore, they elucidated that the size of the otolith is crucial to the differential perception of sound and balance. In addition, the research demonstrated that fish regulate the size of the otolith in the ear to improve their sensitivity to sound. The mechanisms regulating otolith size and position are of great interest because they are related to the inner ear disorders observed in human beings. Therefore, it is widely expected that this research will contribute to the resolution of these dysfunctions. We have high auditory sensitivity enough to respond to sub-nanometer air vibrations. It is known that hair cells detect these small fluctuations; however, the core mechanism is still unknown. Prof. Oda began his research based on the belief that not only the molecular mechanism for transducing the vibrations to electric signals but also the mechanical structures for catching the vibrations are important for understanding the mechanism of hearing. The inner ear of larval zebrafish is extremely simple and provides a good model for investigating the mechanism. He predicted that sensory cells for equilibrium can also catch sound with a bigger otolith, if the inertial gap between the otolith and hair cells is the key to catch small fluctuations for auditory sensing. Several other researchers initially considered it impossible but Prof. Oda successfully discovered the mechanism. "The zebrafish has recently attracted conspicuous attention as a model for vertebrates. In particular, it has a transparent body during embryonic and larval stage; therefore, it is possible to directly observe the inner ear, something that is extremely difficult to do in mammals. Using zebrafish, we can leverage the wealth of genomic information that is available and apply known electrophysiological methods in combination with new optical techniques, such as imaging and optogenetics. I expect that our research will contribute to a deeper understanding of hearing mechanisms." "There is no easy road to learning. It is important to develop wide-ranging interests and various strategies. Enjoy challenging research in the fields of physics, chemistry, mathematics, or engineering although your research is primarily in the field of biology, and become whatever you wish to be."